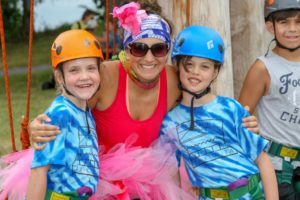 At Camp Ta-Kum-Ta we’re always looking for passionate, fun-loving, kid-loving volunteers to create special moments for our children. And with the expansion of our programs, we need more volunteers than ever! If you think you have what it takes to create special moments in the lives of our children, please apply to volunteer for one of our programs by clicking HERE. Bring all necessary equipment: Massage table, Massage chairs, oils, music, nail polish, foot soaks, etc. Spa Treatments will be from 1:00pm to 4:00pm. Each volunteer will give 4 treatments, each lasting 30 mins. Registration is a 2 step process. STEP 1. Complete the online application as well as any necessary forms. When step 1 (online application) of registration is complete, you will receive a confirmation email with directions on how to complete step 2 (medical information) of your volunteer application. Your application is only complete when both STEP 1 and STEP 2 are complete. If you have any questions, feel free to contact the camp office at 802-372-5863.